A Dallas couple started following a home on Instagram. Here’s what happened next. A sleek, black-painted a-frame may not be how you picture East Texas. But Sara and Rocky Garza, owners of The Wilde House, want to change that. The Dallas couple revamped this countryside getaway with a sophisticated feel—not a single wooden rooster in sight. Just a 15-minute drive from Canton’s First Monday flea market, it’s the perfect place to rent so that you can relax while reveling in your day’s finds. Dallas couple Sara and Rocky Garza fell in love with a house without ever having stepped foot inside. The modern love affair started when they connected with fellow photographer Billy Jack Brawner III via Instagram and followed along as he and his wife—also Sara—packed up and moved from Austin to settle in the country in Ben Wheeler, just 12 miles east of Canton. The couple chronicled the process of building and designing their jet-black abode as they made their house a home. For months, the Garzas only admired the country house from afar. That was until Rocky met up with a mutual friend, and as fate would have it, Brawner also showed up that night. 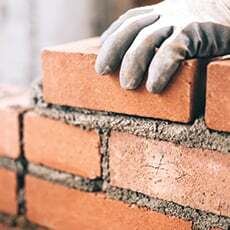 Rocky made the first move and told Brawner that if he ever decided to sell the house, to let him know first. A few months later, Rocky got the call that the Brawners were moving to Waco to start a new chapter. It started to get serious. 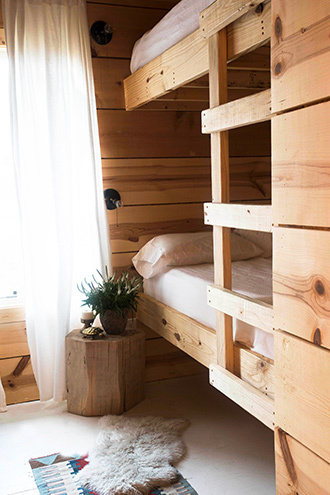 (From left) The entryway's rustic bench is adorned with southwestern pillows; the bunk room boasts queen beds on top and bottom. “Rocky didn’t tell me for a week. He knew I would be like, ‘We have to find a way to buy this house,’” Sara explains. As Rocky put pen to paper, he figured the country getaway would be a perfect spot to host company retreats for his personal development/creative coaching business. Plus, the couple just welcomed a baby boy, and the thought of a peaceful second home in East Texas was appealing. Steal this idea! We love how gloss-painted particle board takes on a luxe texture. 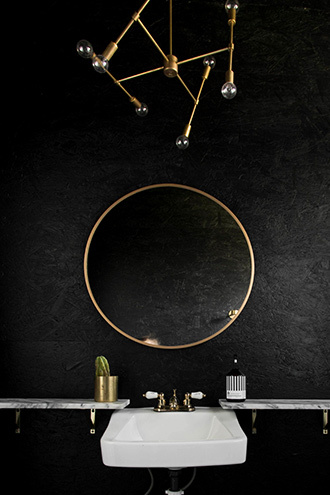 Add gold and marble accents to complete the look. the pine trees and wildflowers, painted the floors white, Sheetrocked a fourth room and hallway, and finished out a second bathroom. 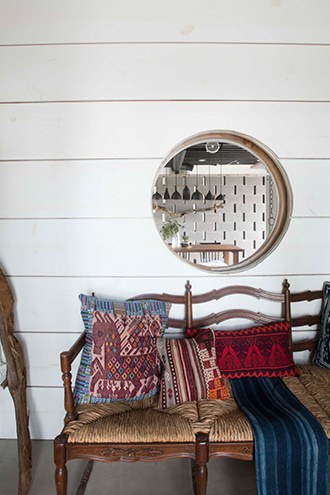 They outfitted the interiors in their eclectic style that mixes midcentury pieces with southwestern accents. 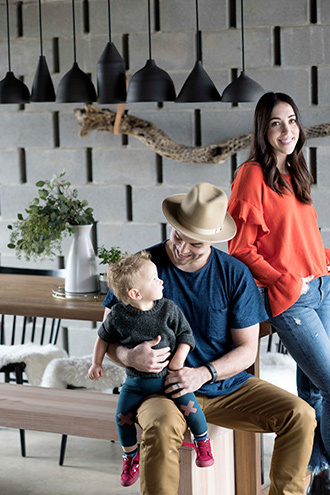 “The house has a vibe of its own, so we wanted to work off of that,” Sara says. She added relaxing touches such as a hammock in the screened porch and a cozy nook with a reading light and cushy pillows. The couple’s goal was to create a space where people could escape and unplug—no televisions here. Plus, it’s the perfect location for junkers and flea market fanatics to rent for First Monday Trade Days in nearby Canton. 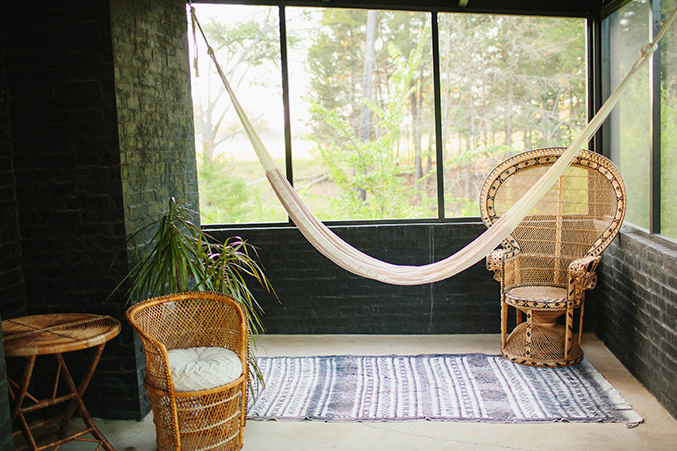 The screened porch offers multiple places to relax, whether on the hammock or in a vintage peacock chair. After pouring a glass of wine, swinging in a hammock, and listening to the rustle of the trees, we know you’ll feel the love, too. The Wilde House sleeps 10. Weeknight rates are $190/night and weekend rates are $225/night. Prices are for two people and a minimum of two nights. Each extra person is $25 a night. Book via airbnb.com. Visit the house on Instagram @thewildehouse.